There’s little to split Liverpool and Chelsea ahead of Saturday’s 5.30pm evening encounter at Anfield, with both teams evenly matched for form over their last six matches in all competitions, with five wins and a draw apiece. The only difference is the two-point advantage the Blues have above the Reds in the Premier League table, but that could all change this weekend. 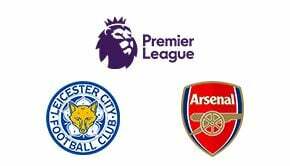 One aspect that could affect the two sides ahead of Sunday’s match is their midweek focus on the Champions League, with both teams in tricky groups and fighting to make progress to the knockout stage of the elite European competition. There’s also the matter of overseas trips to contend with, with Liverpool travelling to Spain and Chelsea facing an even longer trip to Azerbaijan. Liverpool appear to have turned the corner following a disappointing run of form that stretched through September and into October, producing positive displays and comfortable wins against Huddersfield, West Ham, and Southampton last weekend. 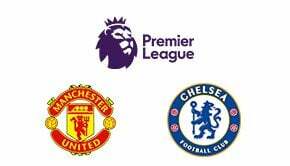 Meanwhile, Chelsea have recovered well from back-to-back defeats against Manchester City and Crystal Palace, with five Premier League wins on the trot that included a home victory against Manchester United at Stamford Bridge. Jurgen Klopp and Antonio Conte may both be faced with a need to shuffle the pack, favouring fresher legs in the starting eleven of their respective sides, although both teams have recovered key players from injuries that have plagued both sides early in the season. Eden Hazard has been back to his best for Chelsea since returning to the side in early October, whilst Sadio Mane has overcome suspension and hamstring niggles, much to the relief of Liverpool fans who adore the Senegalese star. Having a vocal Anfield crowd to urge them on, Liverpool look to be slight favourites with most of the top football bookmakers, although Chelsea will be equally determined to leave Merseyside with three more points in the bag. 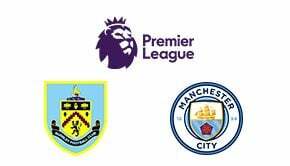 In the end, given the genuine prospect the two sides could cancel one another out, plus the effect of midweek tiredness from European adventures possibly influencing proceedings; there’s the real possibility this one could end in a draw. Don’t forget to check reviews for all the top football bookmakers here at BettingTop10, including William Hill, who are offering 5/2 odds on a Premier League draw between Liverpool and Chelsea.